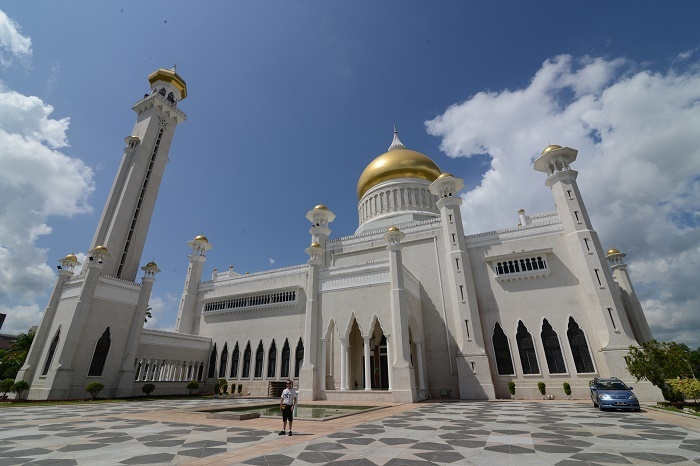 Sultan Omar Ali Saifuddin Mosque is one of the most beautiful mosques in the Asia-Pacific area, a major landmark and tourist attraction in the capital of the Sultanate of Brunei, Bandar Seri Begawan. 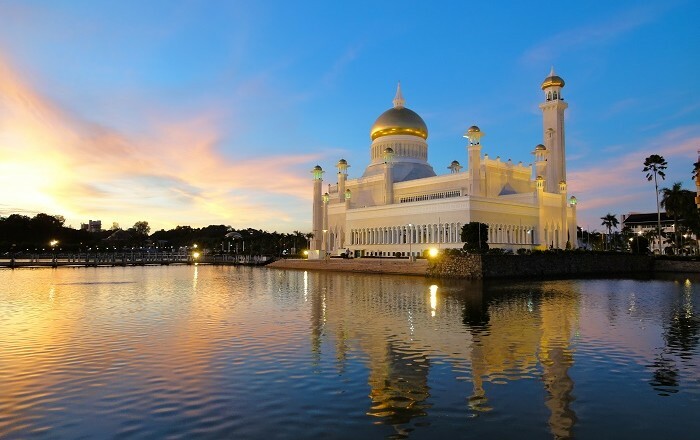 This grandiose, amazing mosque has been named after the 28th Sultan of Brunei, who initialized the construction to serve as a symbol of the Islamic faith in the country, and also to dominates the skyline of the capital city. 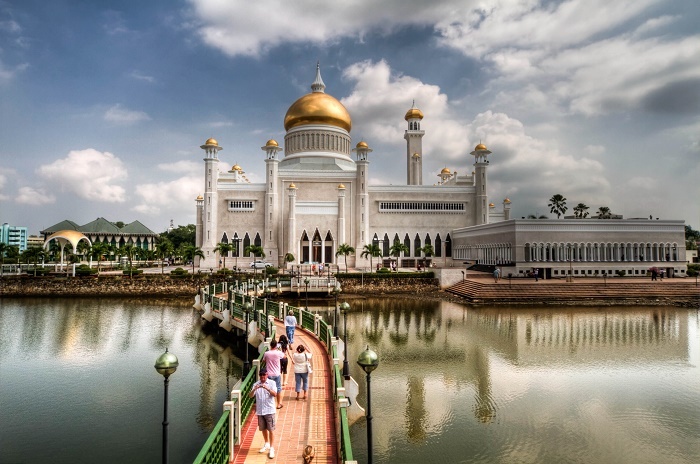 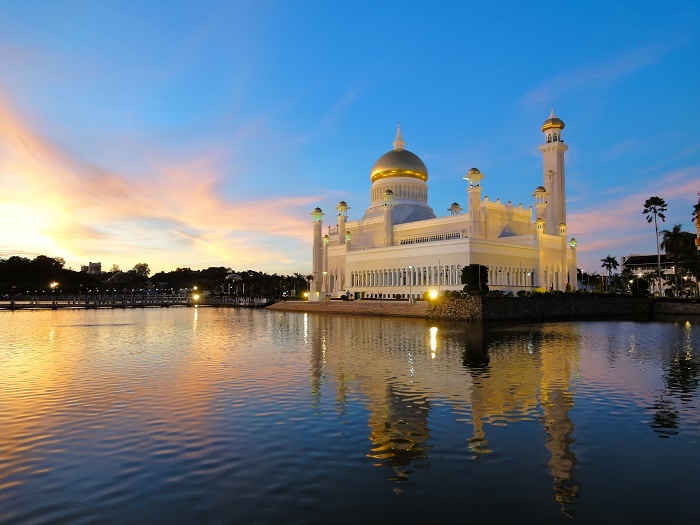 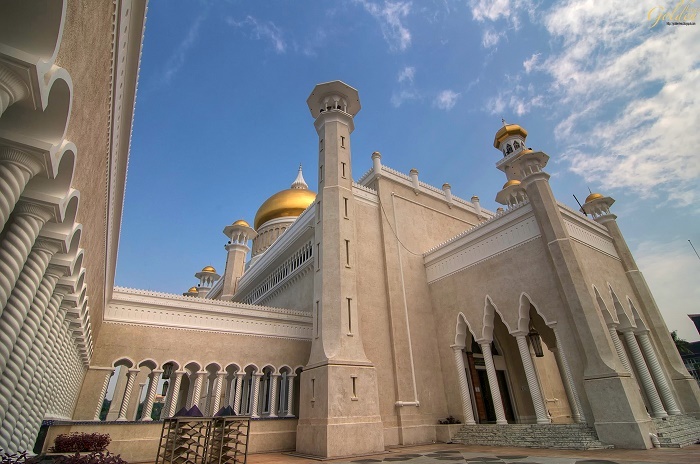 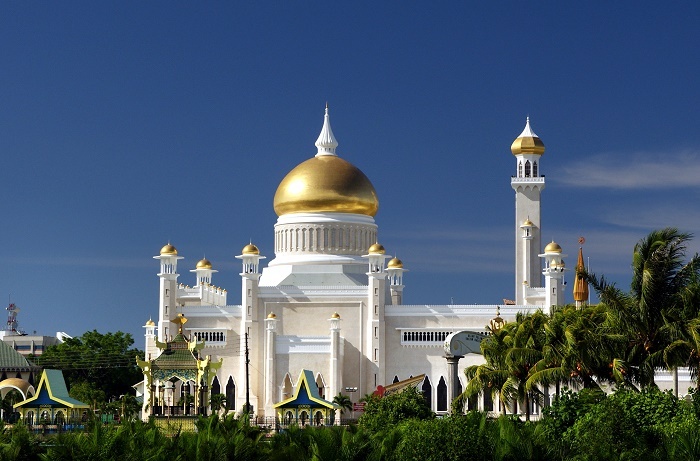 Built in an artificial lagoon on the banks of the Brunei River at Kampong Ayer, which stands fro “village in the water”, the mosque has marble minarets and golden domes, a courtyard and is surrounded by a large number of trees and floral gardens. 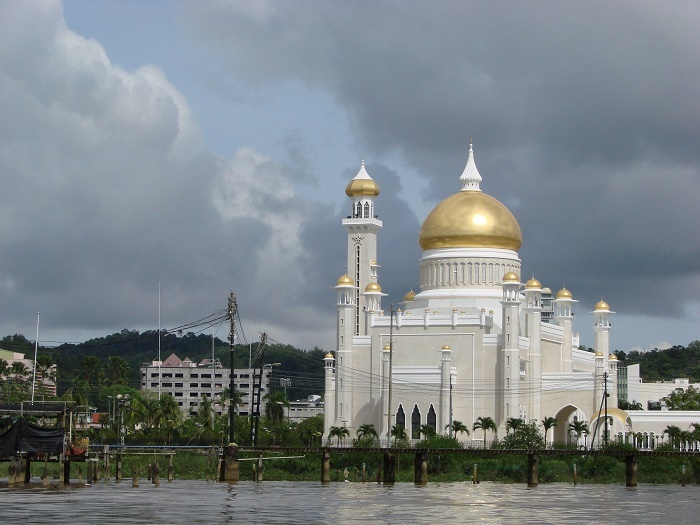 Finished in 1958, a bridge reaches across the lagoon to Kampong Ayer in the middle of the river. 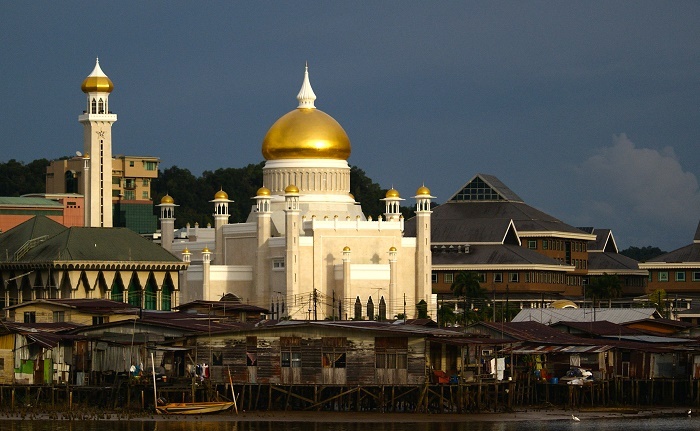 Another marble bridge leads to a structure in the lagoon meant as a replica of a 16th Century Sultan Bolkiah Mahligai Barge. 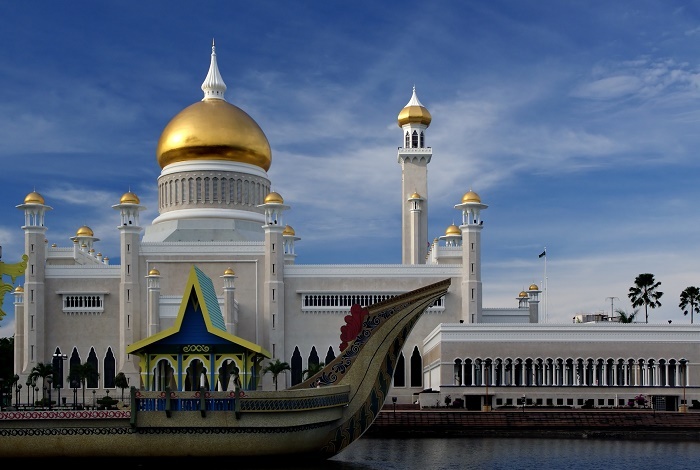 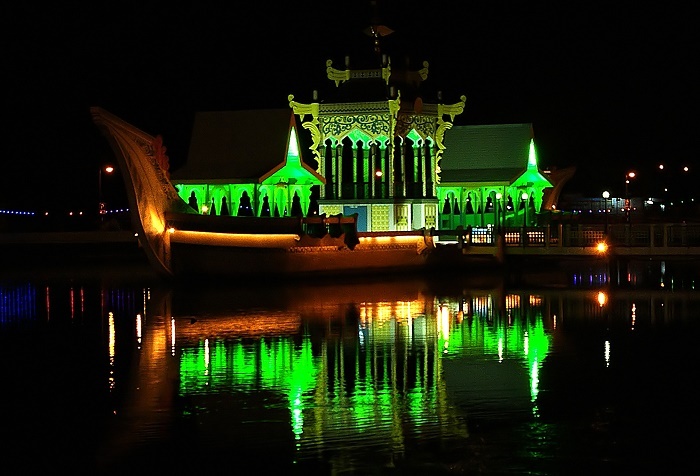 The barge itself was completed in 1967 to commemorate the 1,400th anniversary of Nuzul Al-Quran (coming down of the Quran) and was used to stage the Quran reading competitions. 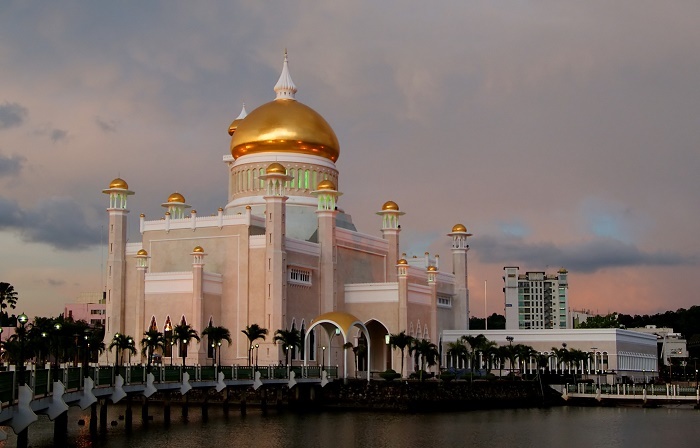 The maximum height of the mosque is 52 meters (170 feet) and the main feature is the top, which is a gold dome, yes, completely covered in gold. 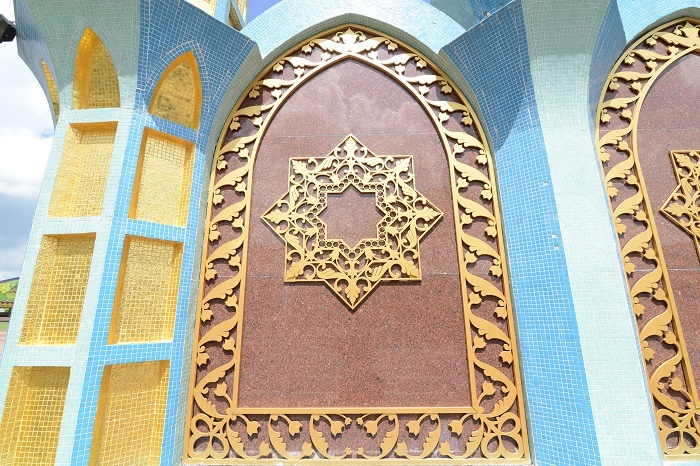 The main minaret incorporated an unusual mixed of Renaissance and Italian architectural style which is not seen in many mosques in the world, but the interior which is for prayer only, has been filled with elements of Islamic art especially the calligraphy, flowers, geometric, stained glass windows, arches etc.